After our little epic in Tajikistan, we spent all of six days in Kyrgyzstan. Paying 100 dollars for a visa and only staying six days in a country is a bit disappointing. Eleven days of consecutive riding in Tajikistan we were all very happy to see the little village of Sari-Tash along the way. 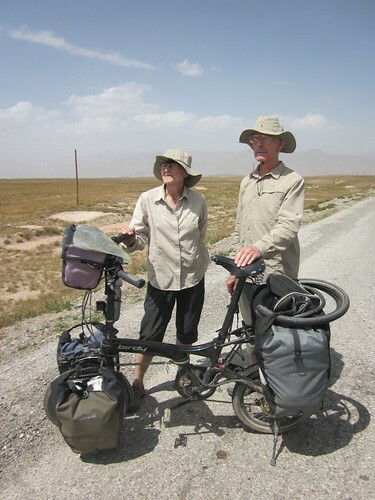 We ran into two elderly french cyclists on the road into Sari-Tash. I thought I was having a hallucination as two 70 year old cyclists appeared in their matching safari uniforms. It looked like they has just freshly ironed them. They were riding folding bikes, of the bike friday variety, with tiny little wheels and rolloff hubs 🙂 We looked like a bunch of dirtbags who haven’t seen a proper shower in 3 weeks. 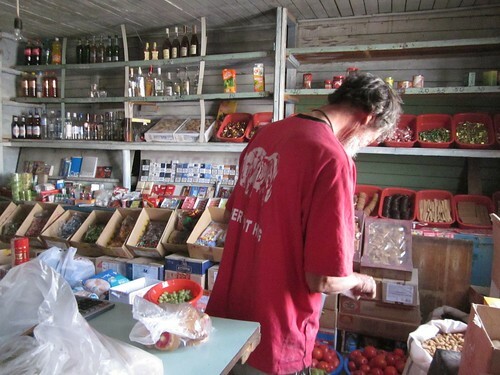 Not having seen a decent grocery store in 500 kilometres, we went a little nuts at the one we found in Sari-Tash. We bought vodka, chocolate, and cookies by the kilo. Ian got tired of pointing at what he wanted, and simply got behind the counter to grab whatever he wanted himself. 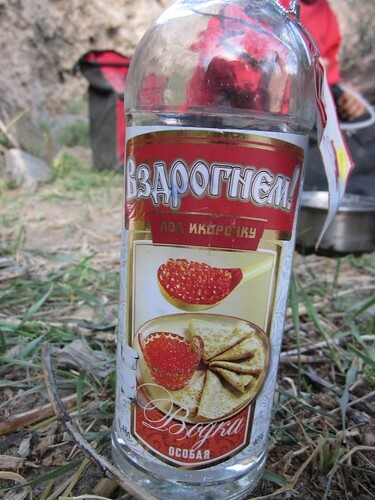 The kyrgyz tend to stock a lot of russian vodka as well. I’m a big fan of the pancake vodka. Not wanting to ride but still wanting to see more of Kyrgyzstan we opted to take a taxi to Osh. As we were five we took two taxis to the next city. The highlight of that taxi trip was a short stop along the way where a live sheep was pulled out of the boot of the other car. Tim and I watched this in amazement, while the others in the second taxi has no idea that sheep was back there. This explained the suspicious noises and smells coming from the back of the car. 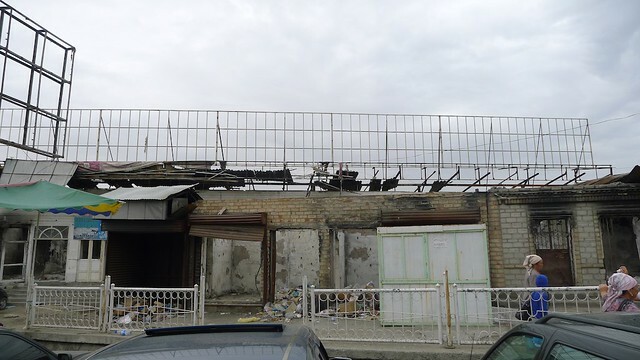 The previous year, ethnic violence left the city burnt to the ground. 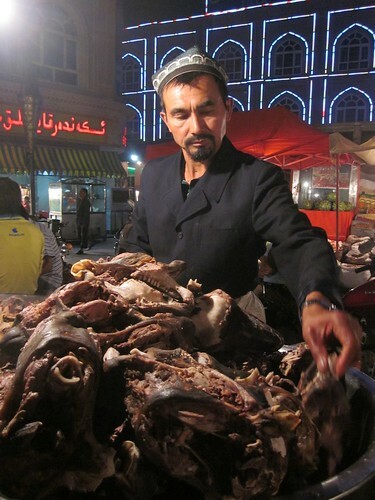 There’s a lot of Uzbeks living in the Kyrgyz city and they don’t get along very well. A border gift from the former USSR. The bazaar there was slightly apocalyptic, with stands and crowds amongst the charred remains of the old bazaar. Beautiful country. 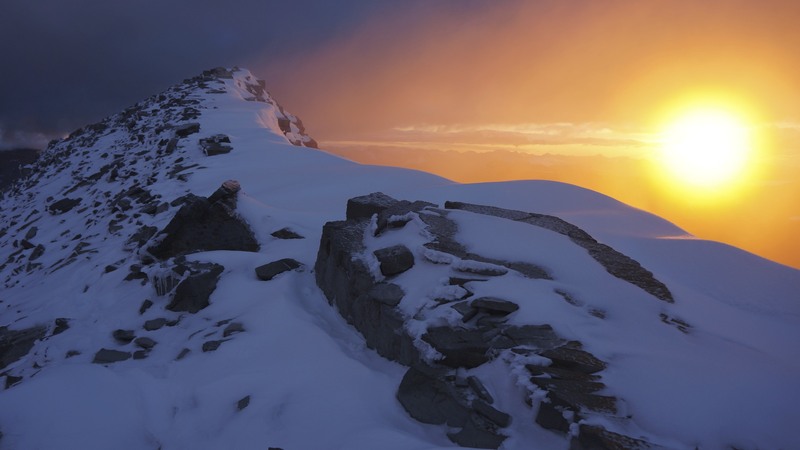 I think I’ll have to come back 🙂 Maybe climb peak Lenin. As there wasn’t much to see in Osh, we didn’t stay more than a night. 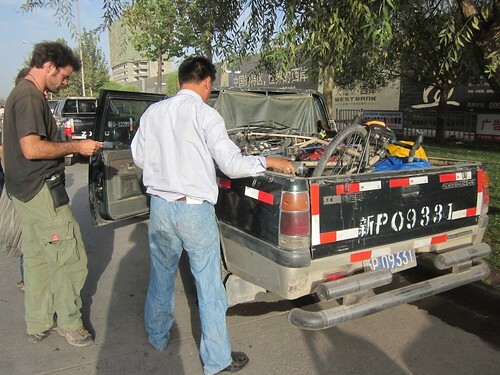 Making it back to Sari-Tash, we prepared to leave the following day and ride to the border. 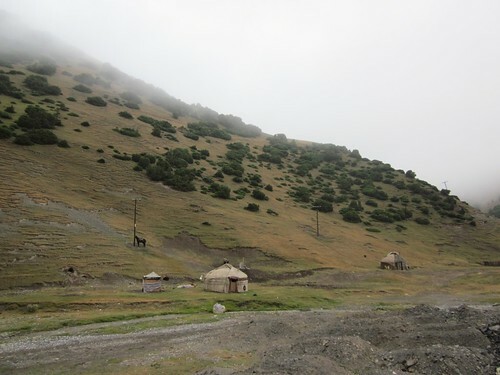 We passed a few Kyrgyz yurts and children along the way. 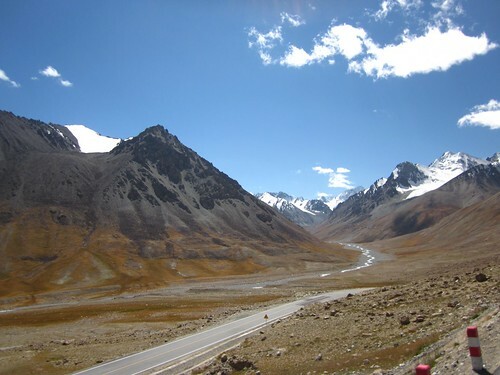 The Chinese-Kyrgyz border crossing was kind of a mess. Trucks waiting in every which direction waiting for the border to open. Occasionally, they would fire up their engines and inch forward a couple centimetres. I believe they conspire to make passing between these trucks all that much more difficult. 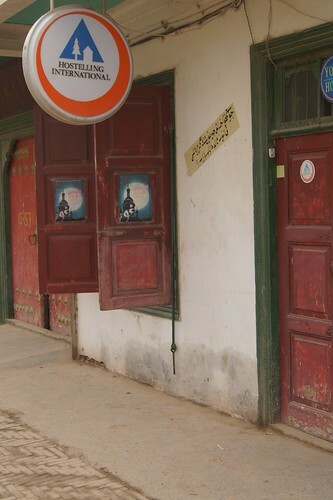 I don’t have any photos of the Chinese border crossing as it’s not allowed, so I can only describe the curiosity that I found there. Passports were digitally scanned with efficiently printed receipts as we were politely asked to please sit down. When we bring the paper slip to the immigration officer, we were all standing before the desk idly chatting away. We were informed to please stand single file. Any time someone got out of line, an officer would come over and reiterate his demands that we stand single file. There was even a little electronic device on the desk of the immigration desk that said “How would you rate my service? A) Very good B) Good C) Bad D) Very bad”. After all of the border crossings in the ‘stans, this feels super modern. 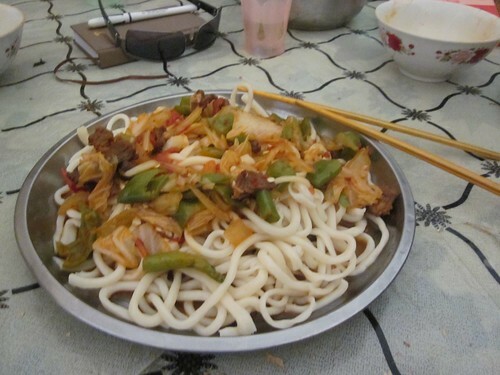 Our first meal in China was a much awaited spicy noodle dish. We must have gone into the kitchen four times asking them for food. Not speaking any english, we played the sherades game of “noodle dish”. Two hours later, we were finally served with a noodle dish. 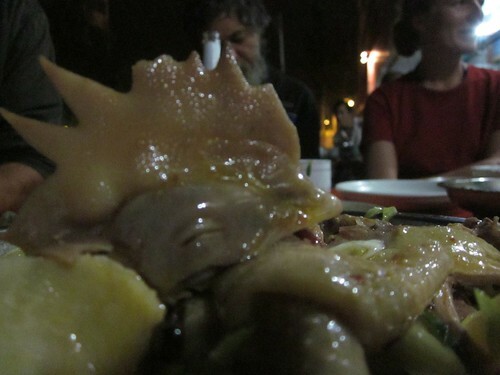 This was the first good dish we ate at a restaurant in nearly a month. Bloody amazing after the goat with goat and some more goat pilav we’ve been eating in the ‘stans. Four more days of riding on dusty roads, passing construction, angry camels, and a lot more Kyrgyz we arrived in Kashgar. 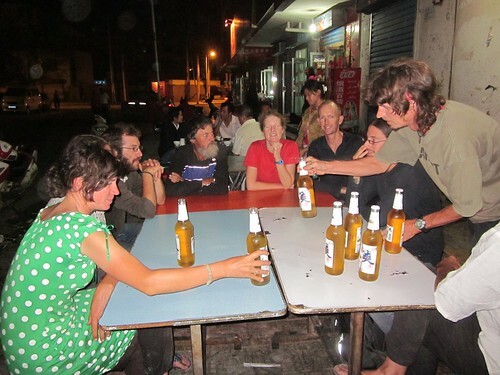 Having a beer or five with all of the other traveling cyclists, it doesn’t get much better! I can’t really say that I’ve visited China. It’s more that I’ve visited Uighurstan, and it’s been invaded by the Chinese. 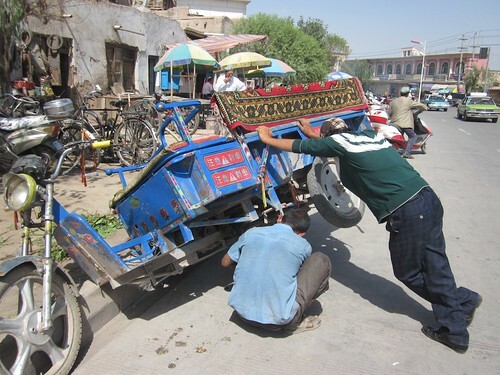 After the riots that happened in Kashgar the previous month, the police were everywhere to be seen. 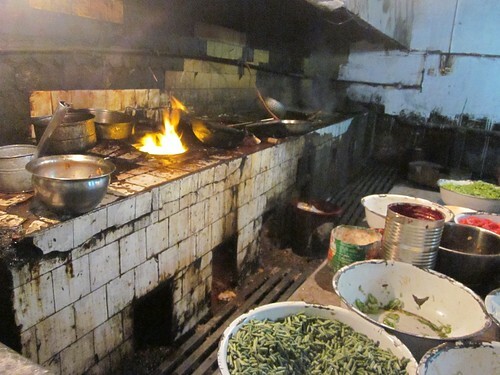 This made leaving Kashgar more trouble then entering. There seem to be many rules here, but no one seems to know them. 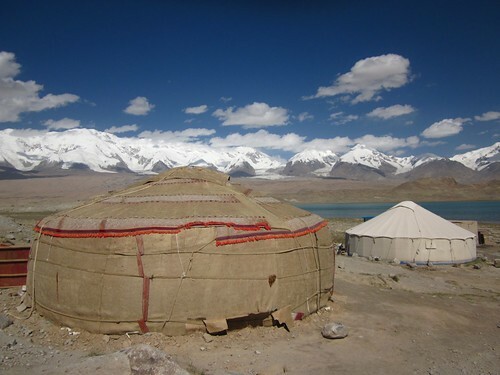 The area south of Kashgar on the way to Pakistan is inhabited by Tajik and Kyrgyz, and is a “permit area”. 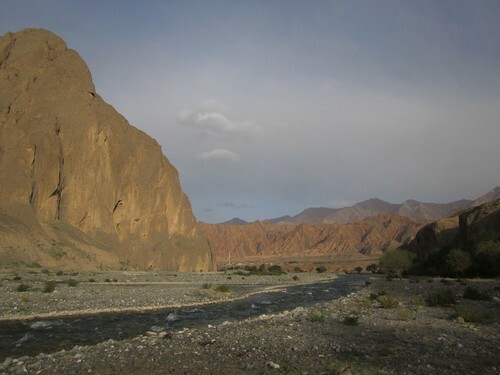 It’s known as the Tajik autonomous region. I think it means they’re about as autonomous as the Tibetans. As we were getting our visa on arrival at the border in Pakistan we could not prove to the Chinese authorities that we were in fact going to Pakistan and not trying to enter the permit zone illegally. Having a border guard that would let you through the checkpoints was more or less completely random. A German cyclist I know, Matthias, rode to the checkpoint 130km and was turned back. 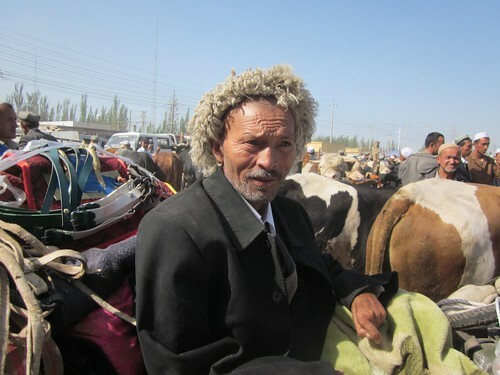 He had to hitch back to Kashgar. The poor guy then got on an international bus and made it to the border….only to find it was closed. 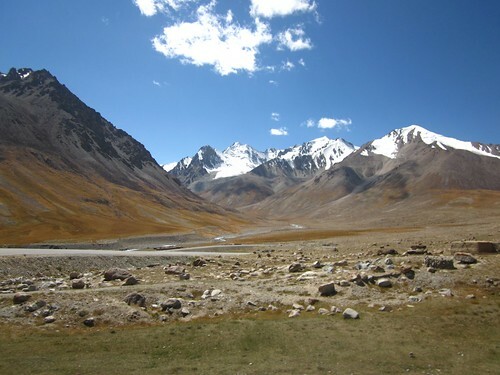 Many tourists came back to Kashgar after being denied entry to Pakistan. 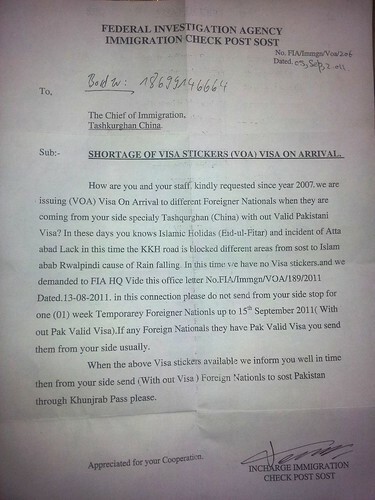 The reason: “We’re out of stickers, sorry” Someone came back with a copy of the letter from the Pakistan border police. You may want to zoom in and read this little gem. Sounds a bit suspicious. Citing the flood in Aliabad (2 years ago) and the festival of Eid (finished a week earlier), they closed the border for a week to any tourist that needed a visa. It’s the only point of entry in all of Pakistan where you can get a visa when you show up. The only other way to get into Pakistan is to get your visa in your home country, or Dubai. 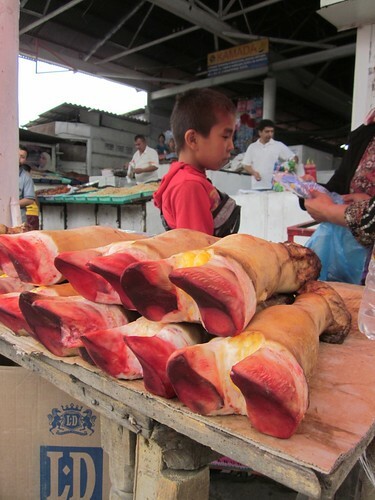 So I hung out in Kashgar for a week hoping they would eventually open the border. The old town hostel we were staying in soon acquired the name “Hotel California”. 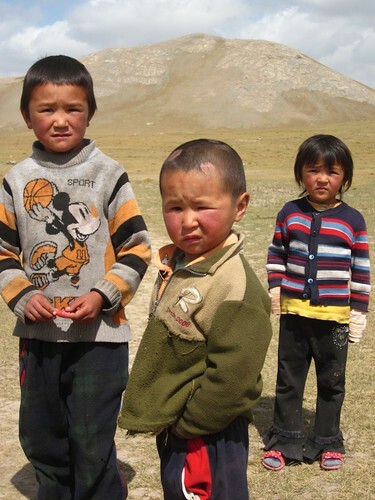 So many other tourists checked out only to be denied at the border or the checkpoint and return to Kashgar. Most of the time, I didn’t do much. Wake up. Coffee. Eggfast. Internet. Coffee. Internet. Lunch. Beer. Discuss dreams of going to Pakistan with the other captives. Beer. Internet. Big cook up in the evening. More beer. Receive warnings for being too loud in the evening. Sleep. Repeat. Occasionally, we went outside of the hostel. Most days I find something interesting or strange. It’s China after all. Need your bike fixed? No problem. 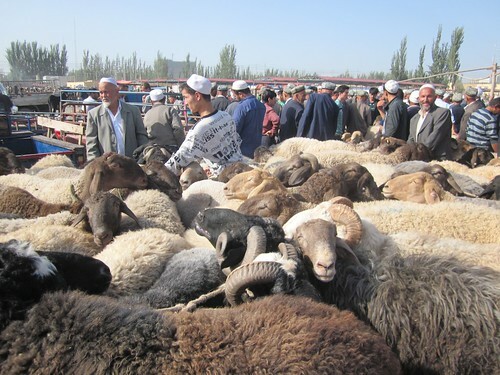 I did take the time to visit the animal market in Kashgar. 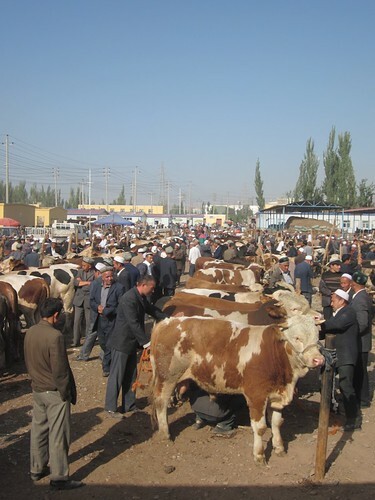 Every Sunday, the Uighur people from all around come to Kashgar to buy and sell their animals. Some days, I didn’t even bother to leave to hostel. I can’t really complain about spending two weeks waiting, there was someone else who’d been there much longer. 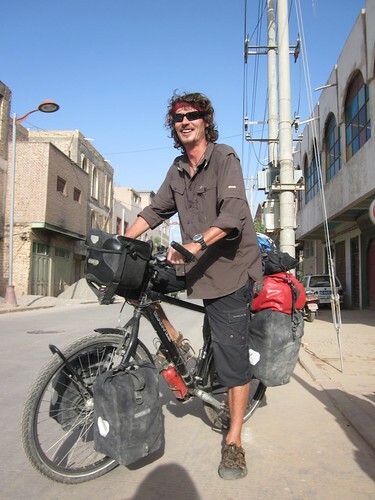 A British cyclist by the name of Chris had been waiting in that hostel for two months! 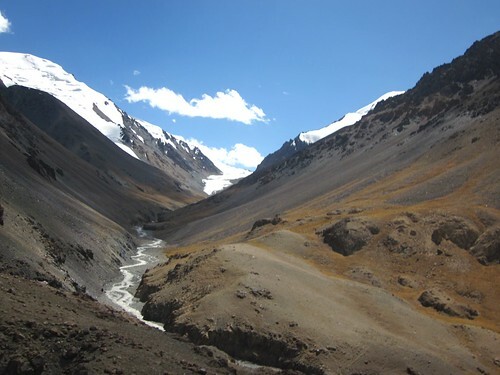 He had developed an abscessed tooth while riding across the pamirs. Two root canals and a bridge later and he would be off again. Even when he tried to leave, he couldn’t get a spot on the train and had to come back. The VOA to Pakistan was supposed to be closed until the 15th of September. We found out on the 11th that they would open again. Not wanting to take the same chance as Matthias, I opted to take a shared taxi with my new friends Erwan and Nico. The taxi driver wasn’t so sure himself that we could get across the checkpoint, so he took us to the foreign police office. He just about left us there too, as Erwan insulted his honour when trying to barter for a better fare. We met the head military officer who informed us that we should not have any problems crossing the checkpoint and continuing to Pakistan. We asked that he write this down in Chinese with his name and phone number. Sure enough, when we arrived at the checkpoint it didn’t look like he would let us pass. The military officer at the checkpoint sported ray-bans you’d expect a Texan police officer to use. At least you can check out your reflection in his glasses and assure yourself that you look pleading enough. He was arguing with our taxi driver, it didn’t look like we would get through. Producing this piece of paper from the foreign aliens office seemed to change his mind. He quickly stamped us through and we were off. Two other tourists who showed up on the local bus moments later were promptly denied. Our taxi driver swiftly ushered us back into the taxi before the officer changed his mind. I wish I had a photo of this officer, but I didn’t want to jeopardize getting through this checkpoint. Charly, our taxi driver was kind enough to stop along the road after the checkpoint and let us get out and take photos. 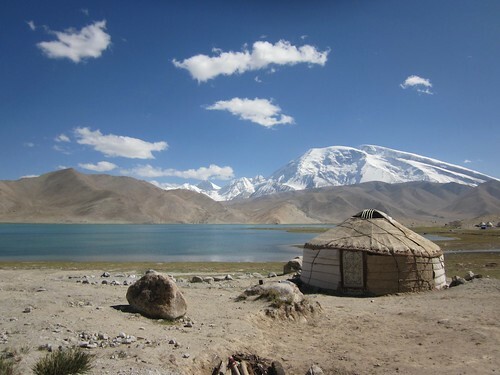 He was even nice enough to stop at Karakol lake for us. 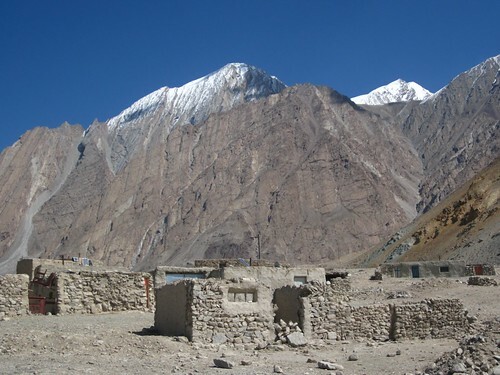 Muztagh Ata. 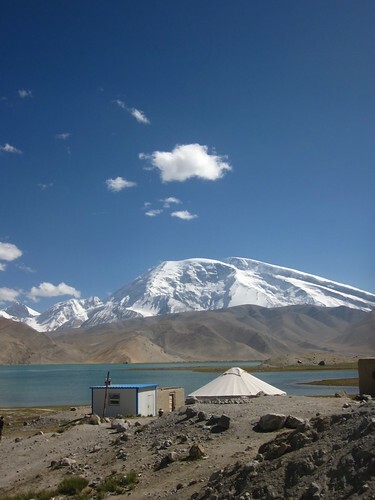 It’s a 7400 meter peak that sits above the lake. 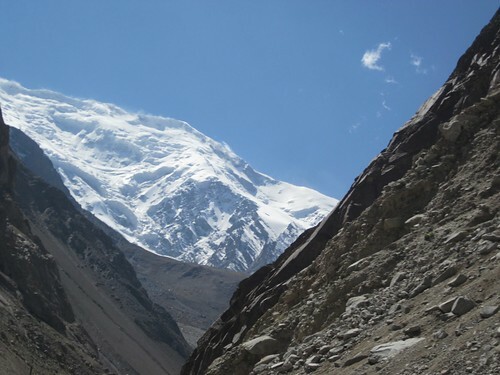 It was the same peak we could see from Tajikistan as we crossed the Pamir. 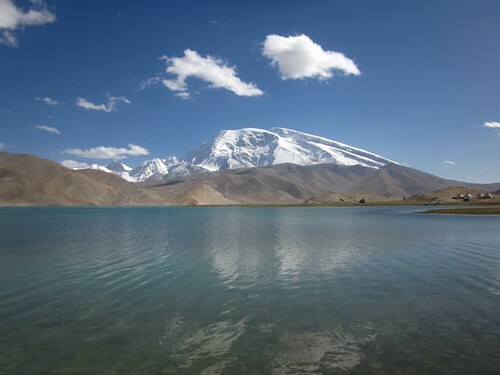 The lake is stunning, with 13 glaciers hanging above the lake. 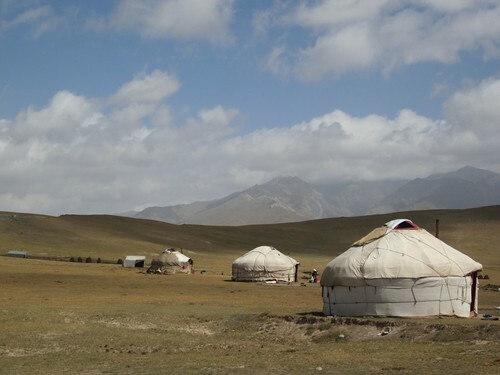 There are a lot of Kyrgyz living in this area, with the same nomadic lifestyle we’d seen earlier. 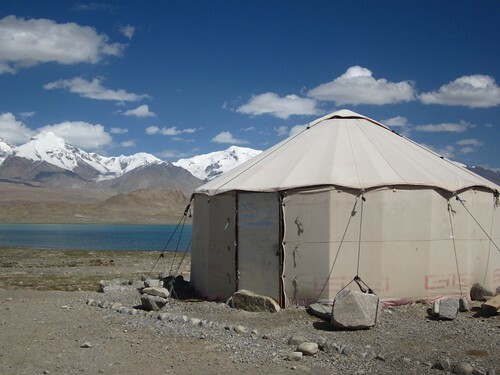 The yurts along the lake were absolutely stunning. The actual border crossing itself is a sensitive spot for the Chinese. 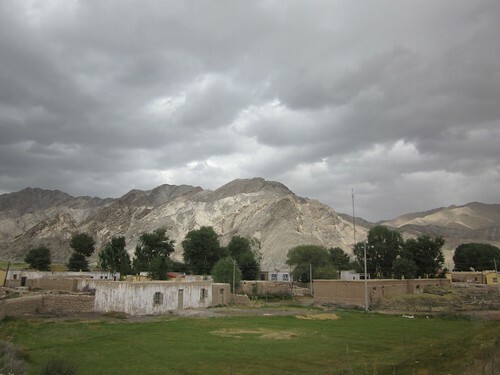 Tashkurgan is the last Chinese town on the way to the border. It’s still 150km from the border and it is where the Chinese customs and immigration is located. Once exiting the country, an armed military officer escorts you to the border. 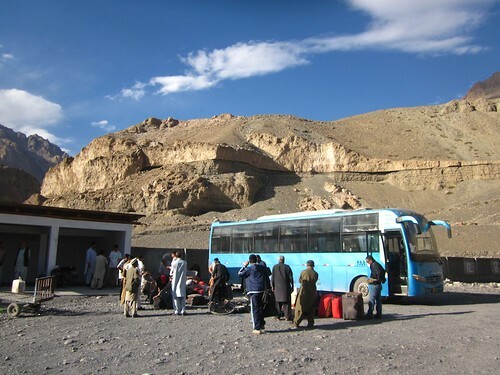 All traveling tourists must take a bus from Tashkurgan, China to Sost, Pakistan. A Chinese military officer came with us on the bus to ensure that no one could get off and wander around. When we got off to go to the toilet, he yelled at everyone to stop taking photos and get back on the bus. 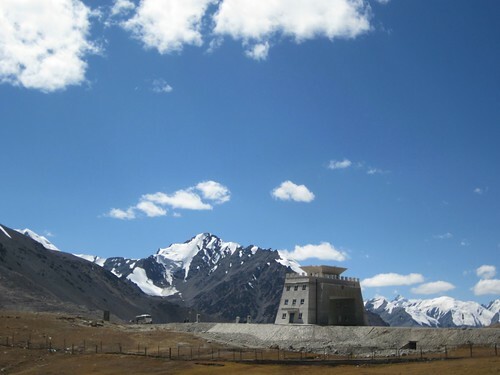 Really a pity too, the border is situated atop the Khunjerab pass, one of the highest border crossings in the world. At one point, Erwan wanted to get a better view from the bus. I noticed it wasn’t only the foreigner the Chinese treated like dirt, it was also the Pakistanis. 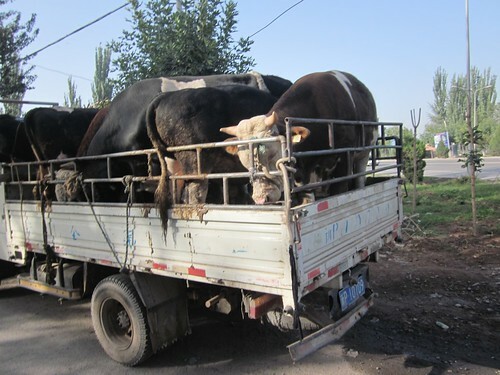 Their patience seemed to be wearing thin after all the checkpoints and stops on the way out of China. 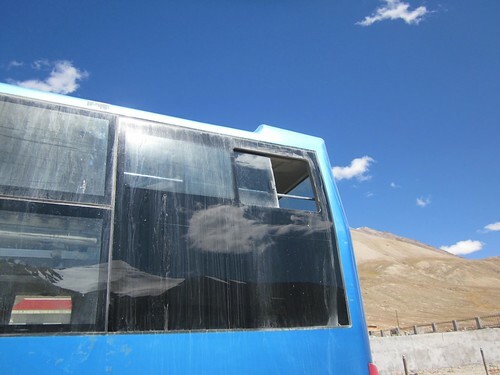 As we crossed the official monument on the pass into Pakistan, the bus erupted in applause. 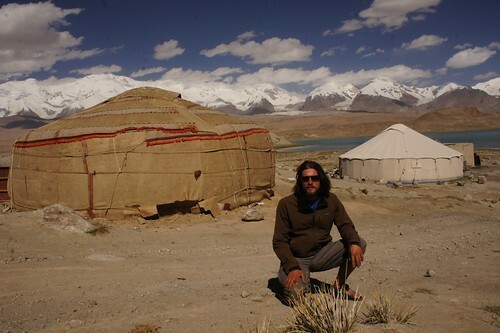 Erwan shouted “No more stopping in China!” to which a Pakistani turned around a shouted back “The only people who will stop you in Pakistan are the Taliban!” Oh epic. Can’t wait. 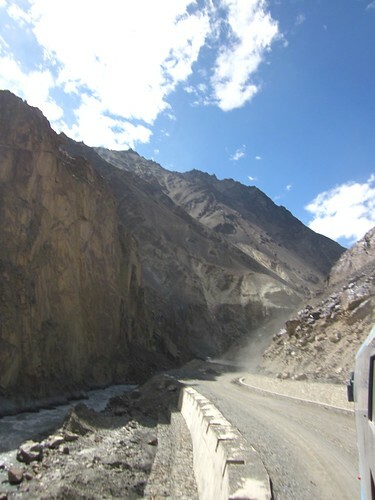 Once in Pakistan, the bus crawled it’s way down the first of the Pakistani side of the Karakoram highway. The road was rough and we spent the better part of 5 hours having our insides shaken out of us. I was so excited to finally arrive in Sost. I’ve been waiting for this moment for two weeks. 100 US dollars, and within a couple minutes I have my one month visa for Pakistan. I wish all countries were this easy. It was clear when we arrived in Sost as well. 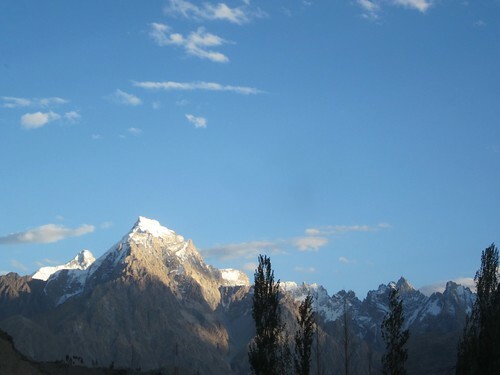 Towering 6000m peaks to the south could be clearly seen to the south. 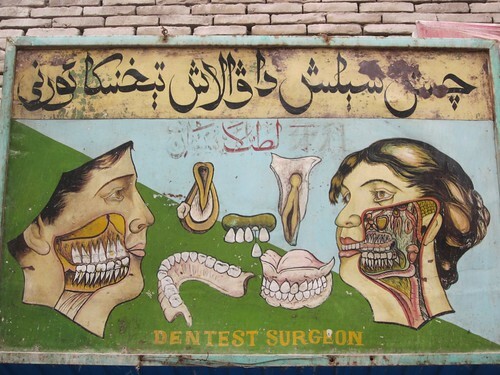 NextAnything possible in Pakistan…. except party!